Type. View. It's that fast. 100% native GPU power on your desktop. KodeLife gives you direct control over your GPU power on multiple platforms, using one lightweight app. Code is checked, evaluated and updated in the background as you type! Quick prototyping of visual effects without having to start up an entire gigabyte-sized engine or wait for compilation. Share your generated visuals with other applications in real-time, directly on the GPU, using Syphon and Spout. 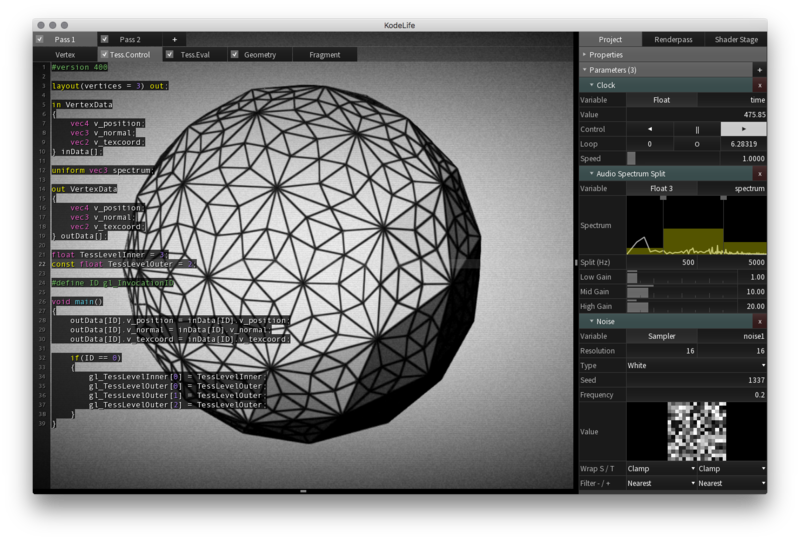 Real-time GPU shader editor, live-code performance tool and graphics prototyping sketchpad. Metal renderer requires macOS 10.11 or later. DISCLAIMER: This is an early preview version and might not function as expected. Please use at your own risk.